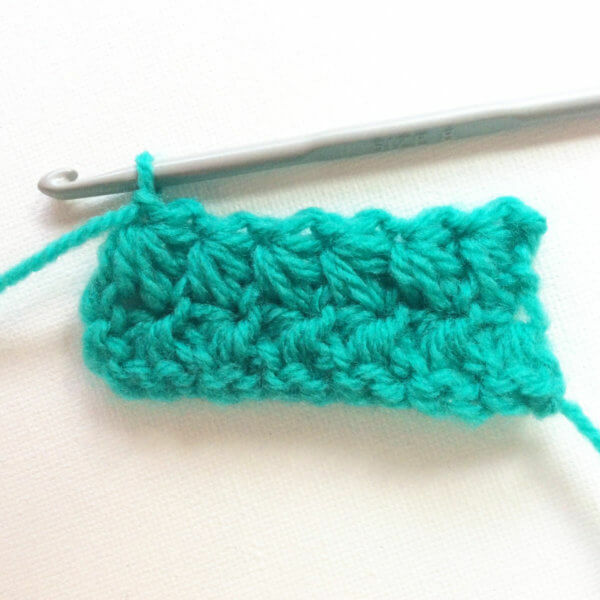 The star stitch is a very pretty stitch, which also gives projects a lovely texture. 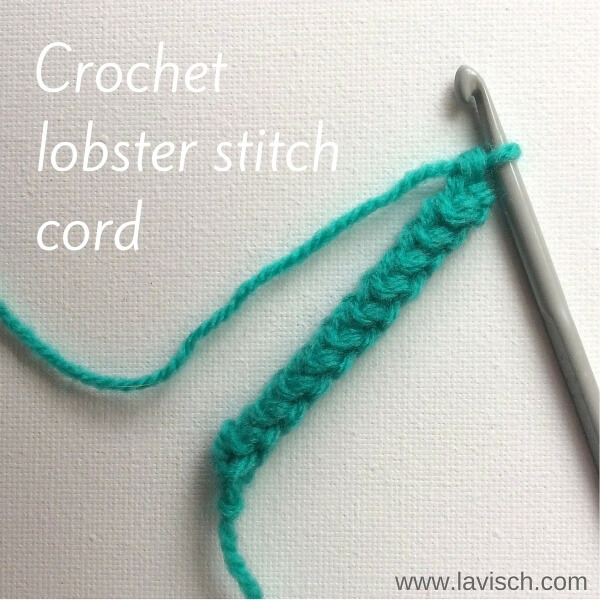 You may also have heard of this stitch by the name of “Marguerite Stitch”. 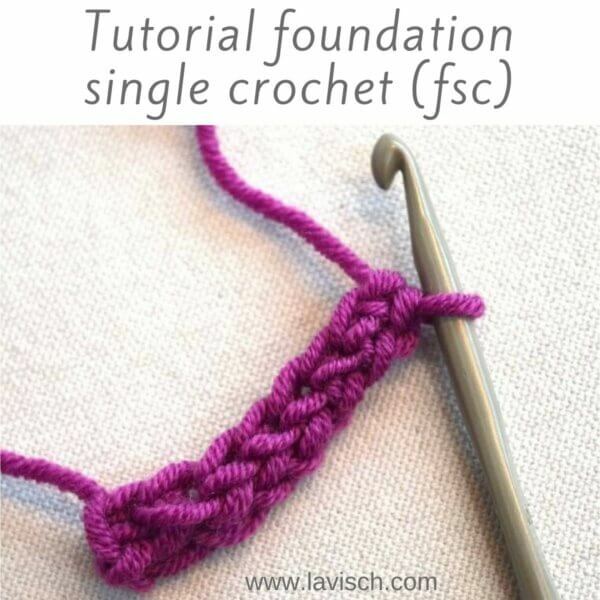 In this post I will show you how to crochet the reversible half-star version. This means that each side of the fabric will show half a star, giving a completely reversible fabric. 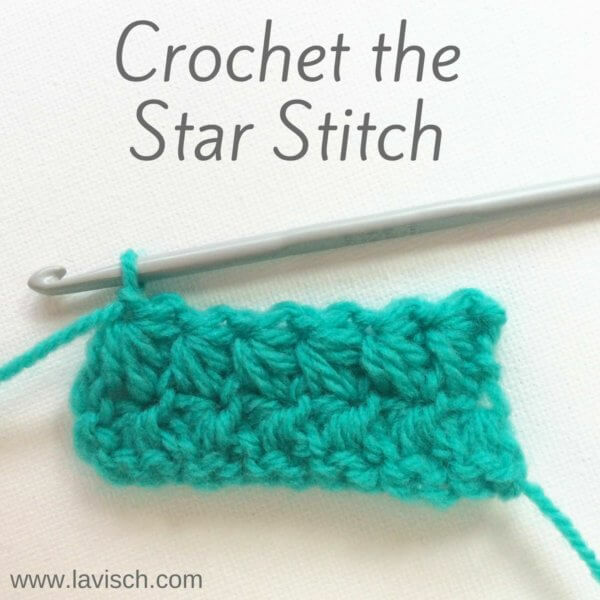 Instructions are also given to transform it into the full-star non-reversible star stitch. 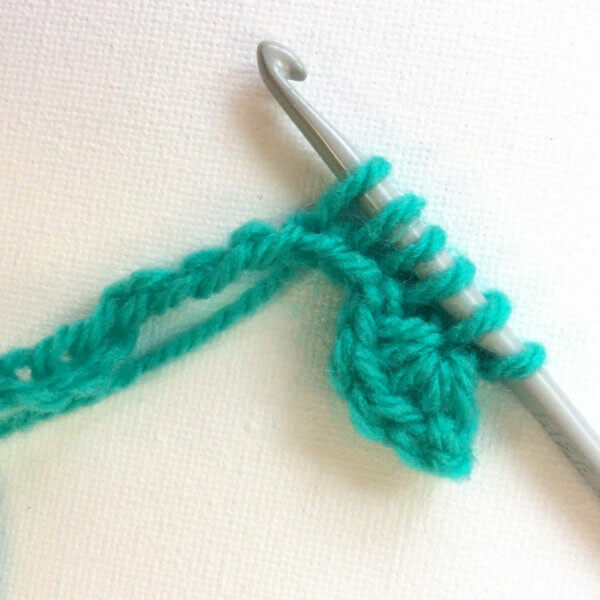 The star stitch is worked as a multiple of 2 + 1 + stitches plus three turning chains. 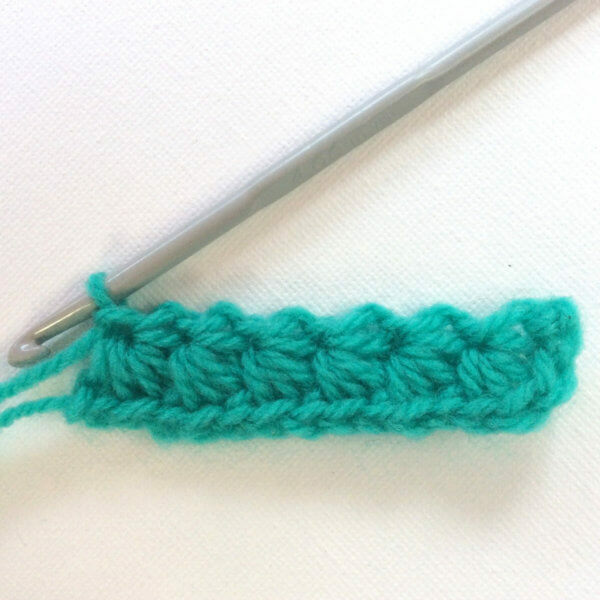 If you want to work this stitch on an existing piece in another stitch pattern, start with a multiple of 3 + 1 stitches and 3 turning chains before you turn your work and starting the first row in star stitch. 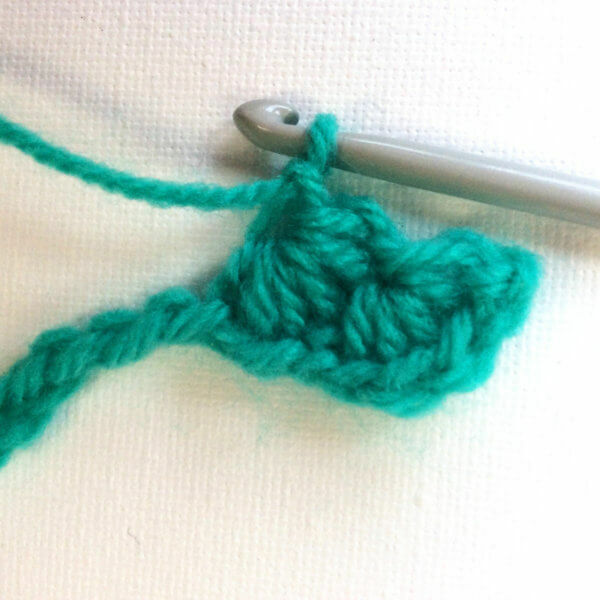 It is of course also possible to crochet the star stitch in the round. 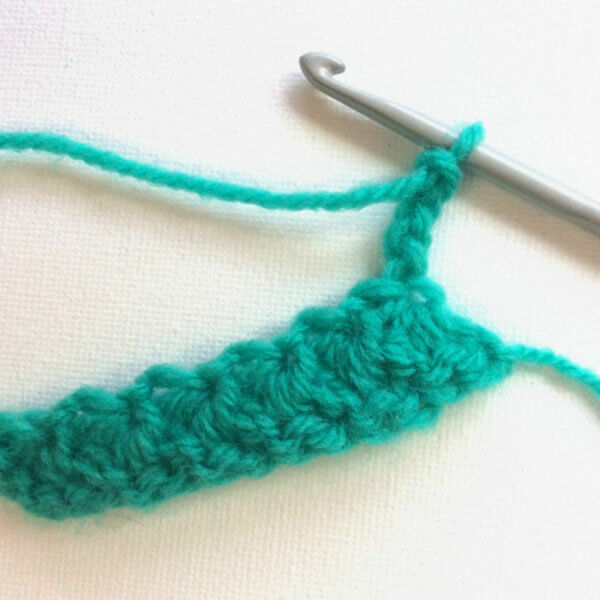 In that case work a multiple of 2 + 1 stitches and crochet the 3 turning chains after joining in the round. 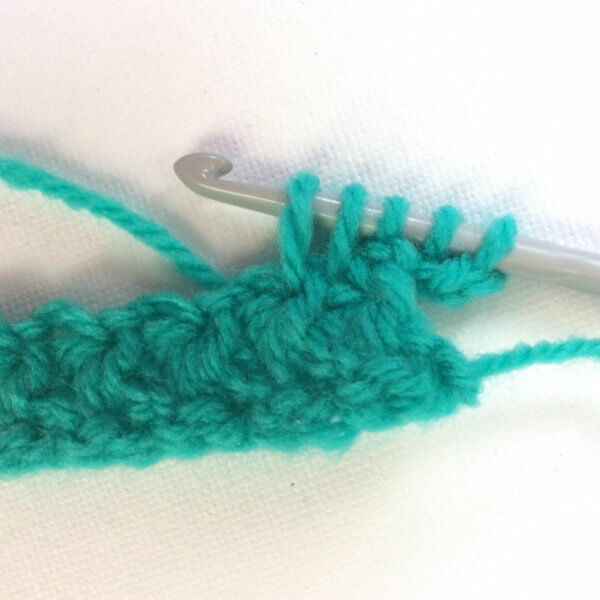 In this post I’ll show you how to work the star stitch as a flat piece working back and forth. 1. 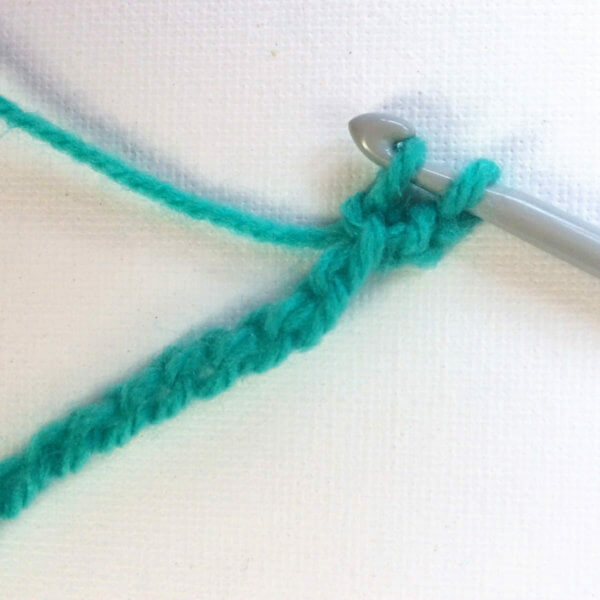 In this example I crochet the star stitch directly on the starting chain, which I made 16 chains long. 2. 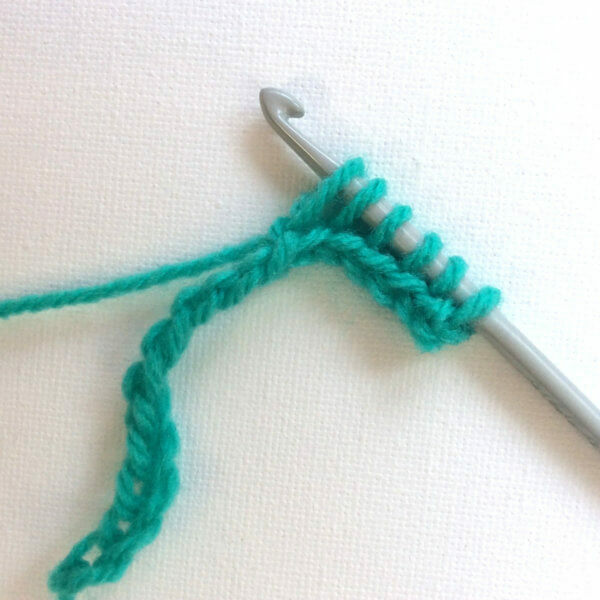 When inserting the hook in a chain stitch, there are of course several options on where in the stitch exactly to insert your hook. 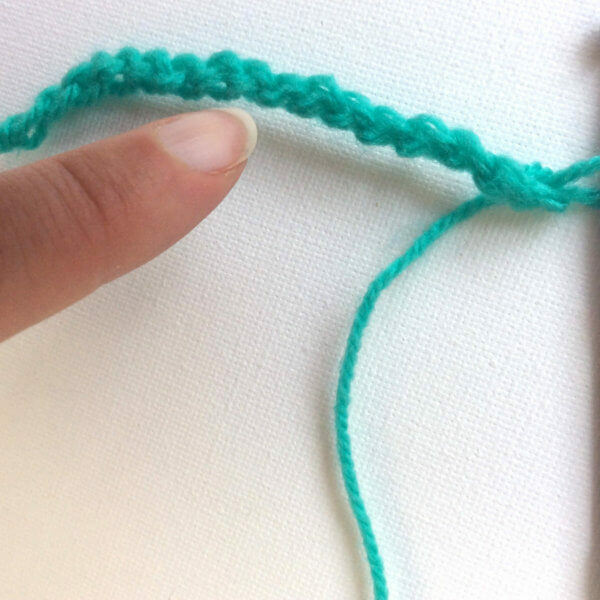 However, for the best result in this stitch I would suggest to insert your hook in the single bumps at the back of the starting chain. 3. 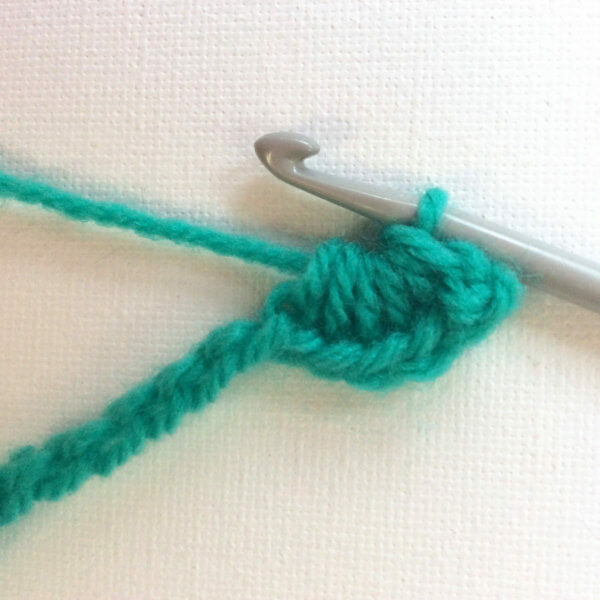 Insert the hook into the second chain from the hook and pull up a loop. 4. Repeat step 3 also for the third to sixth chain from the hook. Take care to pull up the last few loops a little bit longer than the first ones. You now have 6 loops on your hook. 5. 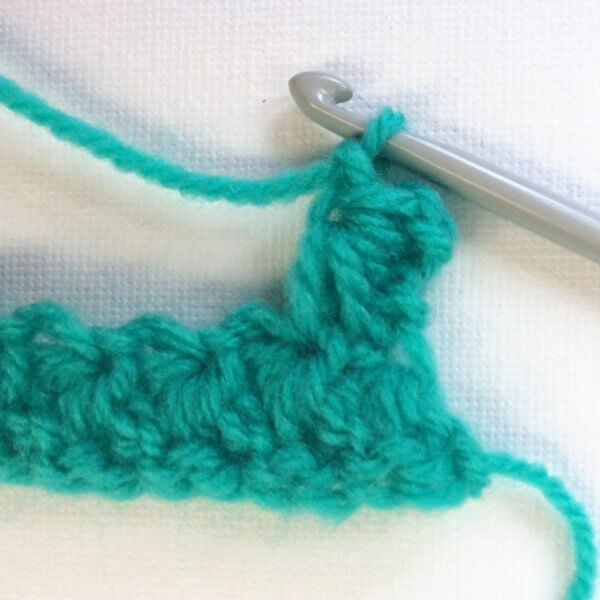 Make a yarn over and pull the yarn through all the loops on the hook. 6. Crochet 1 chain, your first star is now done. 7. 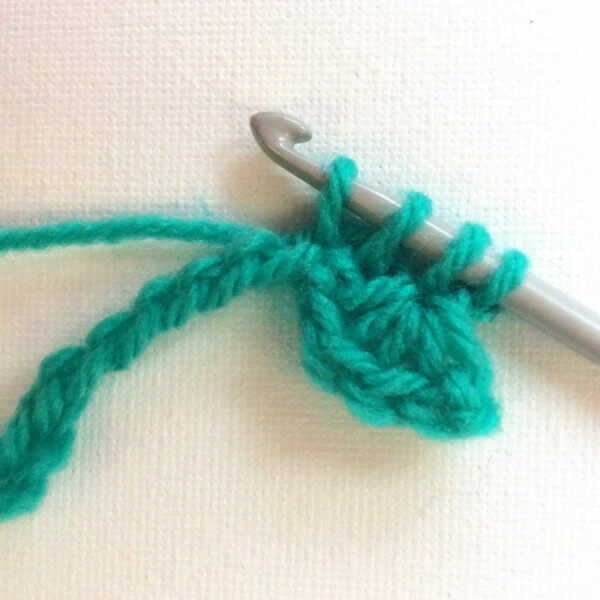 To start the next star, insert your hook in the chain just made and pull up a loop. 8. Then insert the hook under the two loops you can see on the side of the last pulled up loop from the previous star and pull a loop. 9. Now insert your hook in the last chain of the starting chain in which the previous star was made. This was the sixth chain from the hook. Pull up a loop. 10. 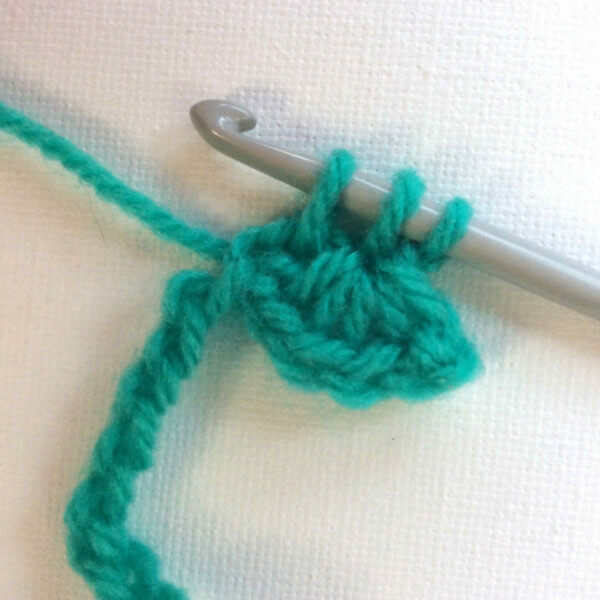 To complete all the loops for the second star, insert the hook into the next chain from the starting chain and pull a loop. This was the seventh chain from the hook. Repeat for the eighth chain from the hook. Remember to make these last loops a bit longer again than the previous loops. You now have again six loops on the hook. 11. 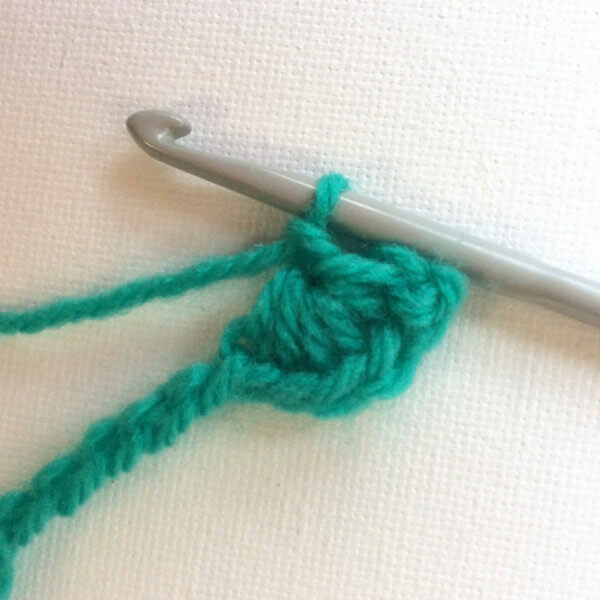 Make a yarn over and pull the yarn through all the loops on the hook. Crochet 1 chain, this completes the second star. 12. Repeat steps 7 to 11 until the end of the row. You can clearly see in this example how pretty the bottom edge is, because I have worked in the back bumps of the starting chain. For the full-star non-reversible version of the star stitch, work a full row in sc or hdc before continuing with steps 13 to 16. 13. Crochet 3 chains and turn work. 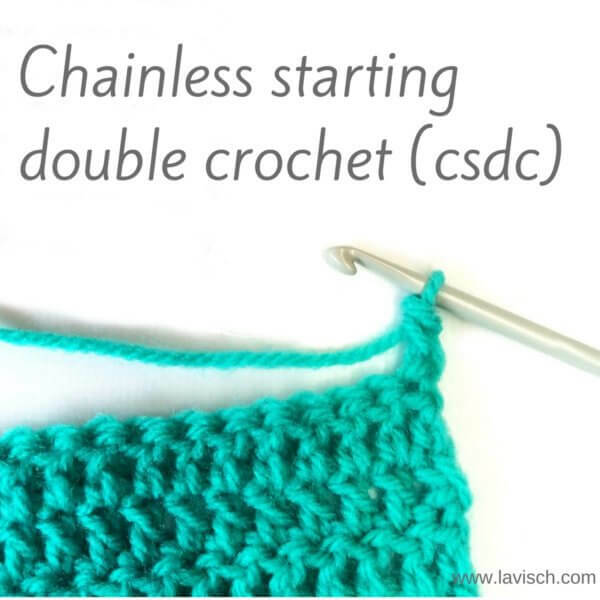 Make sure you do not crochet these chains too tight, because you will crochet into them later on. 14. 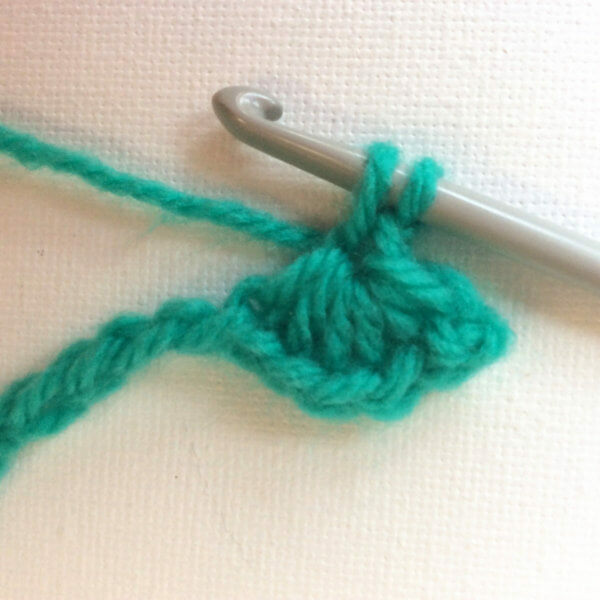 Insert your hook in the second chain from the hook (in the bump on the back of the turning chain!) and pull up a loop. Repeat for the third chain from the hook. Next pull up loops in the first, second and third stitches from the previous row. 15. 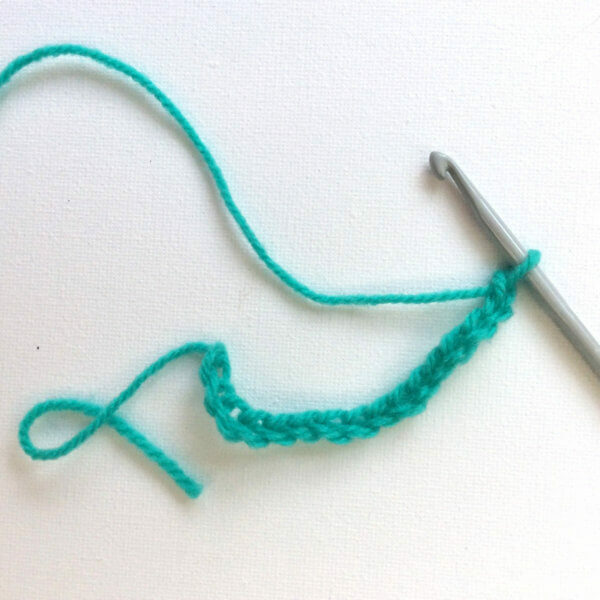 Make a yarn over and pull the yarn through all the loops on the hook. Crochet 1 chain, this completes the first star of the second row. 17. Repeat steps 13 to 16 for the rest of your project. For the full-star non-reversible version of the star stitch, work a full row in sc or hdc before every repeat of steps 13 to 16.